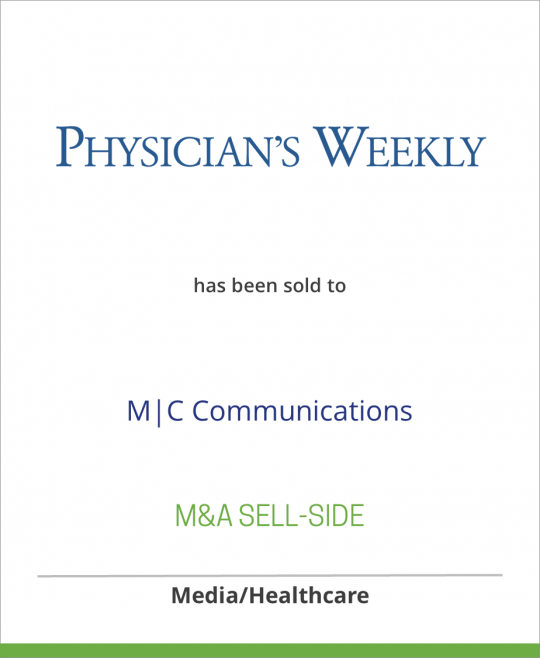 Physician’s Weekly, LLC, located in Englishtown, NJ, is the leading medical publisher of place-based media. Physician’s Weekly produces both physician education and patient education media. With 23 years of continuous weekly publication, Physician’s Weekly is a unique poster publication distributed exclusively to doctors’ lounges in more than 1,500 hospitals across the U.S. Each week Physician’s Weekly is read by over 200,000 physicians (gross impressions) – and its Web site attracts 800,000 physician visits annually. Physician’s Weekly enjoys readership equal to the four most widely read medical journals combined. The company’s Patient Education Centers are featured prominently in more than 2,000 waiting rooms of large group medical practices, providing direct-to-patient communications on a broad range of conditions and disease states. M|C Communications, the leading provider of Continuing Medical Education for Primary Care practitioners was founded in 1994 as a producer of continuing medical education conferences. The first program, Pri-Med, was held in 1995 and attracted 3,500 primary care practitioners. Today M|C produces more than 140 medical programs through live, print, and online channels in the U.S., Mexico, the UK and Ireland, attracting over 150,000 healthcare professionals annually. In only 10 years, M|C Communications has established itself as one of the premier medical education and event management companies in the United States., With offices in Boston, the UK, Ireland and a licensed affiliate, Live-Med®, in Mexico City, M|C delivers audiences of engaged professionals by presenting world class education in accessible, efficient, and convenient formats that mirror the way clinicians choose to learn.